Number 9, number 9, number 9... The man who murdered John Lennon has lost possibility of parole for the ninth time. Mark David Chapman will remain 'under protective custody against his wil' at the Wende Correctional Facility in New York's Erie County. 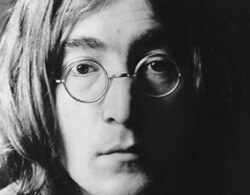 Sentenced to 20 years to life for gunning down John Lennon outside his New York City apratment building on December 8 1980, Mark David Chapman is eligible for another review in two years. Every parole possibility has been opposed in writing by Yoko Ono. Apparently, the parole board received several letters supporting his parole prior to this latest rejection.